The Tobacco & Associated Farmers Co-operative Limited (TAFCO) is a farmers co-operative which was formed in 1987 by tobacco growers to operate as an agricultural merchandising co-operative to service tobacco growers and other primary producers. Being a co-operative profits are retained in local communities and equitably distributed amongst members. TAFCO has a broad horticultural base with a total membership in excess of 590 farmers many operating multi commodity farming enterprises. Share capital has been capped at $600,000 $1.00 shares which are held by the members of our co-operative. The continued investment into the co-operative by new and existing members has played a role in the opening of our store at 215 Great Alpine Road, Myrtleford in 1998. To meet the main objective TAFCO entered into a Franchise Agreement with (then) Dalgety Farmers and began trading as Dalgety Farmers Myrtleford. The annual turnover at this time was approximately $600,000. On July 1st 1995 TAFCO became independent from Dalgety Farmers and commenced operating as TAFCO Rural Supplies. Our current turnover is in excess of $4,000,000 having peaked at $5,000,000 in 2006 prior to the demise of the Australian tobacco industry. As a co-operative, TAFCO is conscious of the need to service members - Commodity groups serviced by TAFCO include winegrape, vegetable, hops, rubus, nut producers and pastoralists. TAFCO provides a delivery service throughout the region, saving farmers time and money by having a broad range of agricultural goods delivered to their farm. (b) The formation of Alpine Produce - a vegetable grower commodity group under the TAFCO umbrella. (c) The provision of guest speakers at winegrape & other growers meetings. (o) 2016-2017 Farm Smart Project 'Adoption of Sustainable Management Practices in the Ovens, King and Kiewa Valleys"
The role of TAFCO has developed into much more than an outlet for agricultural merchandise for farmers. Representation on various consultative committees is built into our unwritten business plan. The pro active approach by Directors of TAFCO has seen our business develop over the past 30 years and will see our business expand into the future at an optimum level. One example of the Directors pro active approach, is the introduction of observers to participate in Directors Meetings. Young farmers are invited to attend Directors Meetings and particpate in discussion regarding the business. Although observers have no voting rights, Directors beleive that this is 'training' and preparing young people in agribusiness to take on roles in the future whether it be TAFCO or other organisations. TAFCO is fortunate to employ a small staff team of people, who work extremely well together to meet our members needs. We aim to provide members with a friendly and efficient service at competitive prices. TAFCO employs seven full time including two juniors, one part time and two casual juniors. Tony has been Manager of TAFCO since August 1989 and oversees all daily operation of the business and reports to the Board of Directors. Tony is responsible for implementing Board Policy, debtor and creditor control and reports on financial controls to the Board of Directors at each meeting. Tony has ensured that TAFCO excels in meeting industry standards and our store is GOLD Accredited by industry standards. Staff, are fully trained under an industry code of practice and competencies reached through a series of training programs. Since July 1988, Kerry has been the Co-operatives Secretary. Kerry reports to the Board of Directors and is responsible for maintaining the share register, payment of dividends and rebates, distribution of the Annual Report to members and has a liaison role between members and management. 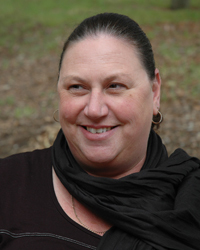 Kerry represents TAFCO on a number of committees including the Victorian Farmers Federation Horticulture Group and is Secretary to the Myrtleford Chamber of Commerce and Industry. Kerry has been appointed to the Victorian Agricultural Chemical Advisory Committee a Ministerial Committee established under the Agricultural & Veterinary Chemicals (Control of Use) Act 1992 to advise the chief administrator on regulations and controls on the application of agricultural chemicals. Kerry has managed a number of funded projects including the "SMARTchoice" Sustainable Land Use Project funded through the National Landcare programme and SMARTchoiceII Caring for Our Country Project which concluded in 2011 and most recently completed FarmSmart Project. Kerry co-ordinates members training and information sessions including Field Days. The AgVet Chemical User Courses and Refresher Courses, FreshCare Accreditation and other training has been co-ordinated where members have expressed an interest in such as Introduction to Welding for Women. Glenn commenced with TAFCO in October 1991 and has been the key player in ensuring that our members have a friendly and efficient delivery service to the farm. Prior to commencement with TAFCO, Glenn successfully completed his Apprenticeship in Farming and is fully accredited by Agsafe in the safe handling, storage and transport of chemicals. Glenn's duties include all aspects of customer sales, product ordering and co-ordinating TAFCO's on farm delivery service. Glenn looks after the delivery run around town. Gerard joined the TAFCO team on the 1st April 2012. 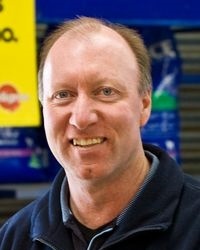 Coming with 25 years of experience with Murray Goulburn Trading in Myrtleford - he was a welcome addition to the team. Gerards product knowledge and practical hands on approach makes him a great asset to TAFCO. Gerard will be on the road a little more and has the both Wenesdays and Thursdays in the truck servicing TAFCO's Beechworth - Yackandandah - Mudgegonga Wednesday delivery run and Thursdays Porepunkah - Mt.Beauty - Happy Valley delivery service. Neville joined the TAFCO team in February 2016, having spent the past 6 years as a casual with Murray Goulburn Trading in Myrtleford and Wangaratta. Neville brings a wealth of knowledge having retired from dairy farming but still operates a beef cattle farm locally. 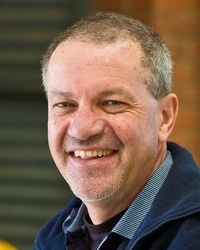 Gary was employed wiith TAFCO part-time from 2007 until June 2012 as Project Officer for the "SMARTchoice" project and subsequent R& D Projects funded through RIRDC and Horticulture Australia Limited. In 2016 Gary completed a Farmers Market Feasibility Study for TAFCO. Today Gary is engaged to deliver the AgVet Chemical User and Refresher Courses.